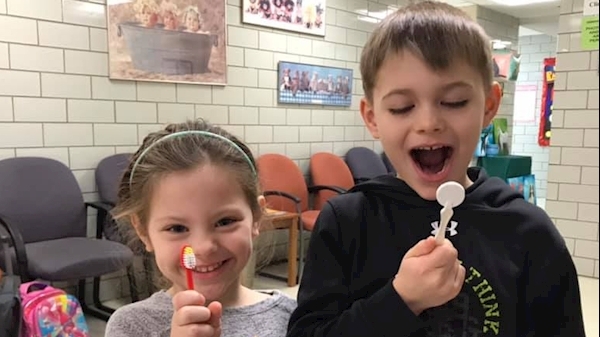 The American Dental Association Foundation's Give Kids A Smile program was first launched nationally by the American Dental Association in 2003. More than 5.5 million underserved children have received free oral health services through the initiative. Our university is proud to participate in the program and volunteer. The WVU School of Dentistry Pediatrics Clinic opens 135 appointments for each child to receive exams and more than $100 worth of services. See the gallery of photos of our faculty and student volunteers working on Give Kids a Smile day.